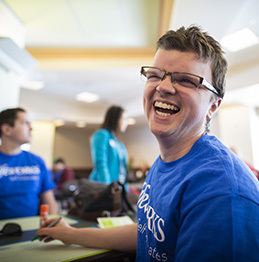 On Tuesday, March 5, 2019, Lifeworks hosted Day at the Capitol with the Minnesota Consortium for Citizens with Disabilities, a non-profit coalition of organizations focused on improving the lives of those that we serve. Self-advocates, parents, family members, and allies gathered in St. Paul to bring attention to legislative priorities that impact individuals with disabilities and caregivers. 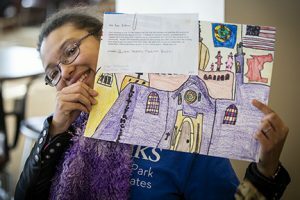 The event included commentary from Lifeworks staff and state legislators as well as informational tables with activities to help share perspectives. Attendees also had the opportunity to schedule meetings with their local government officials. Minnesota’s PCA program has been around since 1970 and provides a wide range of support for the 43,000 people who access it. The reimbursement rate for services has seen an average increase of less than 12 cents per year for the past decade, making it challenging for providers to retain quality staff. The PCA bill looks at payment methodology in order to come up with a way to best represent the work performed. In order to address the workforce storage and budget constraints, the CDCS bill would allow staff to care for more than one person using the program and would grant participants the option to pay for the behavior support systems outside of the CDCS budget. The bill also proposes funding a statewide marketing campaign to raise awareness about the program. Cuts to government funding make it challenging to continue meeting the growing needs. Through advocacy efforts, the community can help determine priorities that can make a positive impact in the lives of the people we serve. If you are interested in advocating, connect with your legislator (click here to find your representative) and join us every Tuesday during the legislative session to learn more and voice your support!